This is a traditional whisky tumbler with a solid bubble base. It can be transformed into a personalised gift or keepsake. 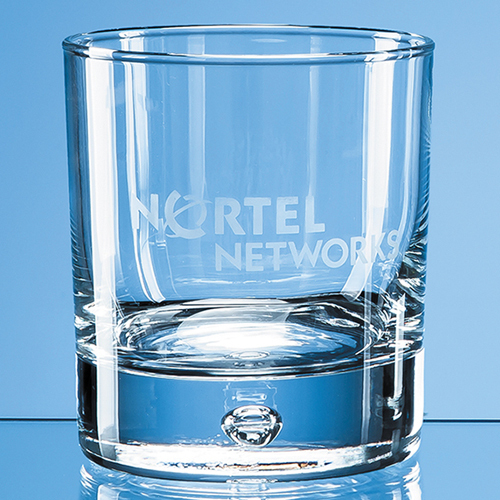 The bubble base whiskey tumbler can be engraved with any logo, crest or wording to create something that will be treasured.